Is pain stopping you from doing what you love or living your life to the fullest? Whether pain or injury is your reason for not going to the gym, a painful workday, or is preventing you from simply living your life, your physio Prahran is here to help! At Physio AUS, we use a range of techniques to help you manage pain and get you back to being pain-free – for good! Do-it-yourself treatment techniques that you can do at home – anywhere across Australia! A combination of the above treatments – following accurate diagnosis – makes up Physio Prahran’s unique AUS System designed to move everyday Aussies, athletes, and fitness-focused people towards the same goal: being pain-free and sustaining strength for good. The AUS system helps you to know and understand the cause of your pain and gives you easy-to-follow solutions in achieving your desired results. 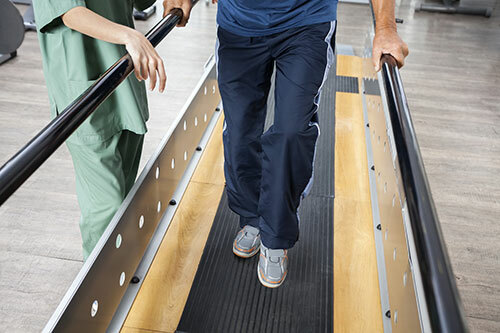 Before starting with anything, Physio AUS clearly identifies everything that you need to know about your treatment plan including the duration, frequency and outcome that you would expect after completing it. Ben Demase is known to be the best physiotherapist in Prahran with proven experience of thousands of cases combining the most practical concepts and applying them in handling pain. Get help from your physio in Prahran now! Physio AUS is your physiotherapist in Prahran that helps you live a healthy and pain-free life. Book now and take the first step towards resolving your pain and treating your injury. Got a question or prefer to chat? Call us today! 1300 392 552.